 Securing Smart Cities, a not-for-profit global initiative that aims to solve the existing and future cybersecurity problems of smart cities, unites tens of security experts and activists around the world, and many of them will head to Las Vegas in order to share their expertise. Security of anything starts from conversation. In order to discuss the hottest problems surrounding cyber security in a modern city, the initiative supporters and conference guests are invited to a discussion about the major problems modern cities are facing today. What are the lessons that smart cities infrastructure could take away from other areas (like corporate cyber security)? What is the main difference between approaches to smart cities cyber security and general corporate cyber security? When it comes to cyber security people think of the perimeter that should be protected. What is the perimeter of a smart city? Is it the right time to do bug bounties for smart cities? In their talk, Securing Smart Cities supporter Matteo Beccaro from Opposing Force, along with his fellow researcher Matteo Collura from Politecnico de Torino, will disclose the results of an examination of the security of three different targets belonging to a “sample” city. The first one involves a smart parking solution, in which the user pays the stop in a park by means of a token device, enabled and disabled manually. Having examined the token, some security flaws were identified. These allow a malicious user to make modifications without leaving a trace and pay nothing for the stop. The second area under analysis regards bike sharing. This time’ the spotted security flaws are both hardware (better physical) and software side. In fact, the card used to unlock the bicycles can be easily cloned, meaning bikes might be removed from their stations without alerting the central system. Last but not least, the third area is a recap of the last years’ research on public transport with an update. This security issue is potentially really dangerous and transparent, allowing a malicious user to ride on bus, metro and tram for free forever. In their talk, Vladimir Dashchenko and Denis Makrushin from Kaspersky Lab will present an exciting overview of the current state of security in some parts of a modern city. This will include a look at smart terminals for payments and e-gov services, booking terminals in airports and also city road infrastructure, including speed cameras, traffic meters and network equipment. Even in not so smart cities, those devices are already processing gigabytes of citizens’ data and unfortunately are not always secure enough to defend against third-parties set on manipulating them. Along with description of vulnerabilities, the speakers will provide some suggestions on possible security measures that could eliminate those issues, and make modern cities safer from a cyber perspective.